Here's part of a post and my brief response from the Catholic Answers Non-Catholic Religions forum. I've learned to always keep a record of what I post on Catholic Answers! You gave a lot of great information. it is what I had learned from reading history. It's a fascinating period of time, one that is not well known here on this side of the pond, and what we do know about it is sometimes told differently than how it happened. Finding sources that tell it fairly can be a challenge sometimes. In my last post I documented how Luther is the one who is responsible for unleashing the doctrine of Private Interpretation on modern Christendom. Actually it was not his intention whatsoever, but was rather an ‘Unintended Consequence’ of his revolt against the Church. It got very messy fast, and very bloody. It should also be noted that he taught Private Interpretation of Scripture in spite of the warning of St. Peter. “Two of the great legacies of the Reformation were the principal of private interpretation and the sharp focus in the sixteenth century. Hidden beneath the famous response of the Reformer to the ecclesiastical and imperial translation of the Bible into the vernacular……. 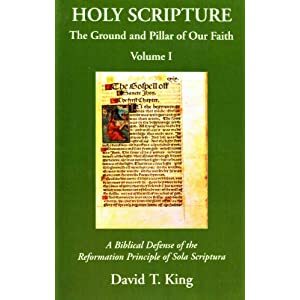 It was Luther himself who brought the issue of private interpretation of the Bible authorities at the Diet of Worms was the implicit principal of private interpretation. Luther demonstrated that he placed his own personal, independent, private understanding and his conscience above those of all the popes and Councils with all of their thousands of Theologians, On the face of it it seems pretty foolish doesn't it? I found the section from Sproul you quoted so intriguing that I wanted to read more of what Dr. Sproul said. As I read pages 33 and following, Sproul contrasts Luther's embracing private interpretation with the notion of an infallible interpreter of sacred scripture (p. 34). Luther was holding that the only infallible voice of God on earth is that recorded in sacred Scripture. On page 35 Sproul points out that Trent responded by saying "it is the responsibility of the teaching office of the... Catholic Church to expound the Scriptures and to declare the meaning of the Scriptures." In other words, Luther was challenging the infallibility of the church of his day. When Luther was fighting for the right to interpret, he was basically saying that the church certainly can have a collected wisdom and understanding of what the Scriptures are saying, but it isn't an infallible understanding because only God and His word are infallible. Did the Reformers promote the notion of unbridledness? Does private Interpretation mean that an individual has the right to interpret Scripture to suit himself? May a person interpret Scripture in a whimsical, capricious manner with no restraint? Should the private individual take seriously the interpretations of others such as those who specialize in teaching the Scriptures? The answers to these questions are obvious. The Reformers were also concerned with ways and means to check unbridled spirits. (That is one of the reasons they worked so hard to delineate sound principles of biblical interpretation as a check and balance to fanciful interpretation.) But the way in which they sought to check unbridled spirits was not to declare the teachings of churchmen infallible. Private interpretation never meant that individuals have the right to distort the Scriptures. With the right of private interpretation comes the sober responsibility of accurate interpretation. Private interpretation gives license to interpret but not to distort. Private interpretation opened the Bible for laymen, but it did not do away with the principle of the educated clergy. Going back to biblical days, the Reformers recognized that in Old and New Testament practice and teaching there was a significant place for the rabbi, the scribe and the ministry of teaching. That teachers should be skilled in the ancient languages, customs, history and literary analysis is still .an important feature of the Christian church. What I found fascinating about Sproul's chapter as well is that he goes on to discuss the error of subjectivism in regard to interpretation. Sproul places a high value in the collected wisdom of the historic church and proper methods of interpretation (as did the Reformers). One final related point comes to mind: The Catholic church has had quite a long time since Trent declared that the church has the power to have the true sense and interpretation of scripture, but, as far as I know, the Catholic church has not infallibly interpreted a lot of passages. This leads me to wonder whether or not Catholics likewise are engaging in a fair degree of private interpretation (while in the confines of declared dogma). The issue is not private interpretation (because Catholics and protestants both do it), the issue for the Reformers was whether or not the church has the ability of infallible interpretation. Thanks again for raising such interesting issues. One RC person on OLTS said that the RC has infallibly interpreted the entire Bible by "setting limits" on what is acceptable interpretation. In a similar way, Madrid says that the practices of the RCC reflects how it interprets. What do you make of these opinions? The first statement is meaningless, because even the limits are open to interpretation. A related issue is with the word "infallible." If Rome wanted to argue that the the RC has interpreted the entire Bible by "setting limits" on what is acceptable interpretation without using the word "infallible," I wouldn't have much of a problem with that, but she'll never do that.